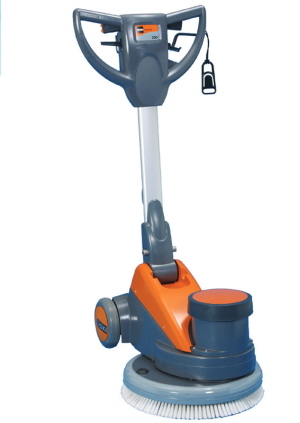 Taski Ergodisc 165 is a low speed (165rpm) single disc machine that is versatile and is adaptable for multiple cleaning tasks. Taski Ergodisc 400 is a multi-purpose, cost-efficient machine that is especially suited for spray cleaning and buffing. High speed (400rpm) single-disc polisher. Kit 16 - single disc high speed polisher 400 rpm with vacuum unit and skirting for ultimate dust collection. 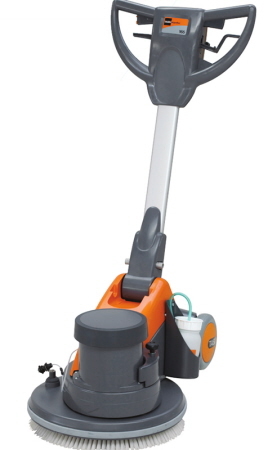 Kit includes Taski Ergodisc 400, high speed driving disc, suction unit 230v, suction skirt 43cm. Kit 2 - single disc high speed polisher 400 rpm for vinyl and other smooth floors. Kit includes Taski Ergodisc 400 and high speed driving disc. CONTACT US FOR BEST PRICE.